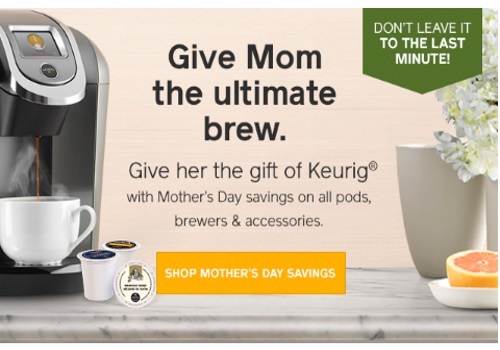 Give mom the gift of Keurig this Mother's Day! Keurig is offering savings on all Keurig hot pods, brewers and accessories right now! Save $5 off when you spend $50+, $15 off orders $100+ and $25 off orders $150+. No promo code is required. Offer ends May 9, 2016. Click here to browse Keurig Canada.